Posting this as a guide for those who're planning to visit Japan for 21 days. We stayed in JP from December 21 until January 10, dead in the middle of winter. But it was fun, especially cause it was sort of our "honeymoon", just 10 months late. 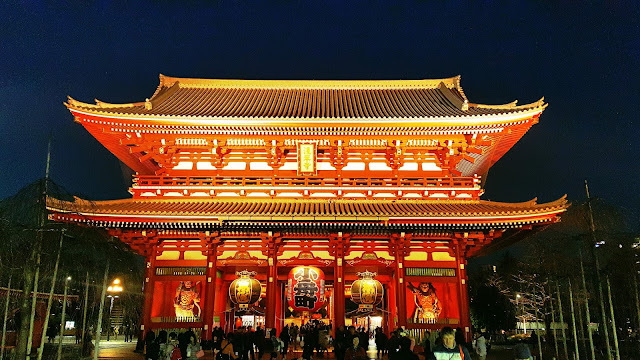 Below are the places we visited in Tokyo as well as nearby spots in the Kantō region and the things we did each day, plus photos of those moments. This isn't really an itinerary, more like a list of what we did, where we went, what we ate, and so on. I did not include costs/expenses anymore cause it's too complicated. I may just make separate blog posts for each stop. If you have questions though, I'll be happy to answer them. Just leave your messages on the comments box below (on mobile, it's under the post title). ☑︎ Went inside Tokyo National Museum, Tōyōkan Asian Gallery, Kuroda Memorial Museum, Bentendo Temple. We attempted to go to the Int'l Library of Children's Literature but it was closed when we got there. ☑︎ Nihonbashi, "Zero Milestone of Tokyo City"
Our Osaka (Kansai region) itinerary can be found HERE! Hi Kriezel, this question might be unrelated but how do you save up for your international travels? I've read from one of your posts that you regularly visit Korea (once a year) and other than that you also go to other places. So, how do you save up for them? Hi! Thank you for that wonderful question.... LOL! Well, I save up in many ways but one thing that really works with me is the PALUWAGAN system I do with my friends. I book a promo fare in advance so I already know when I'm travelling. Then I schedule my Paluwagan sweldo in time for that trip so I have pocket money. If you're familiar with that, I suggest you do that as well with your fam and friends. I've also tried setting up a bank account meant for all travel savings but it's harder cause you have to have will power to put money into that account. But with paluwagan, my friend who's in charge of collecting money just reminds us every month when it's due and I feel the responsibility and obligation to pay up. We do 2000php per month so after a year I get 20k+. That's actually enough for a 5-day trip for 2 to Korea!